Whether you’re buying, selling or simply exploring the possibilities of home ownership, you’ll want to work with a professional who can provide the most reliable market information and expert advice. Now more than ever, you need to work with a qualified REALTOR® who is skilled at networking, pricing and negotiation. So, you’re ready to sell your home! 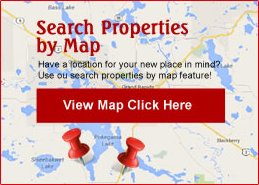 Congratulations, you’ve come to the best Real Estate Company in Northern Minnesota. Buying a home is a huge commitment! Whether you’re purchasing your first home, your dream home, or an investment property, we understand how important buying a home is to you. We have knowledgeable experienced Realtors to make sure we find the perfect property for your specific needs. Finding the perfect property is just one way we can help you with your real estate needs. As a licensed Realtor, we have extensive knowledge & established relationships with every related field throughout the real estate process, ranging from lenders, to title companies & numerous government agencies. Our goal is to make the buying process accommodating by taking you through all the proper procedures. Because this is our community we love & live, we will provide you with detailed information about our local schools, cities, lakes, trails & much more. We have a clear understanding of the local market and an excellent inventory of homes available for viewing. 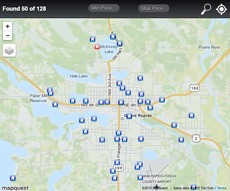 We have full access to our Multiple Listing Service (MLS) so buyers can view all available properties online at your leisure & tour them in person together at a time convenient for you. As our client, you will have all the benefits offered by a professional licensed real estate company.